DSA Director Lenny Martinez and RED Inc. Program Manager Terry Tetreault with the donated toys. 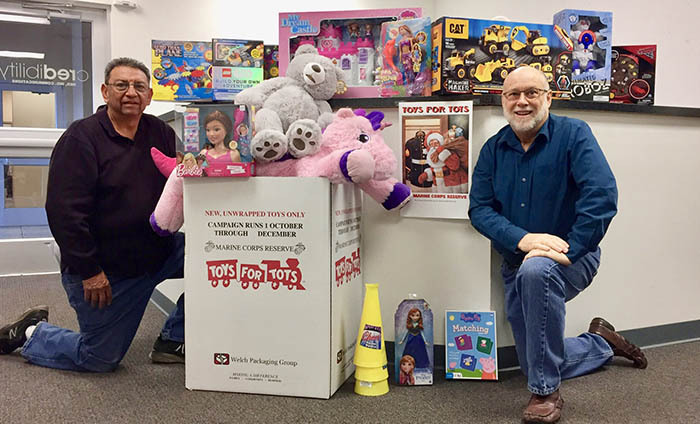 RED, Inc. Communications and Data Systems Analysts, Inc. (DSA) led a 2017 U.S. Marine Corps Reserve Toys for Tots Program. Fellow Park residents and employees donated toys which helped Red, Inc.’s and DSA’s efforts to collect more than 50 unwrapped gifts for the program. Toys for Tots distributes toys to children whose parents cannot afford to buy them gifts for Christmas.